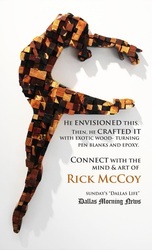 McCoy has a constant yearning to create and physically make art. It is his objective to become a stronger artist by continually thinking outside the cubed space, to analyze, anatomize, and fully comprehend as many different materials as he possibly can. 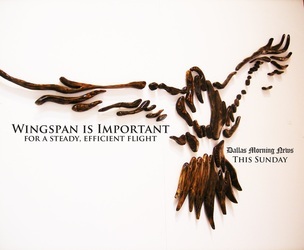 At the same time keeping his subject matter constant and creating a consistent body of work. 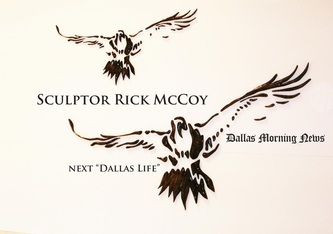 In the fall of 2009 McCoy transferred colleges and began his sculpture career at The University of North Texas. Where he later earned a (BFA) Bachelors of Fine Arts in Sculpture in 2012. McCoy is currently seeking his (MFA) Masters of Fine Arts in Sculpture at Texas Tech University starting in the fall of 2018. Here he plans to research further conceptually and learn to push himself out of his comfort zone to use mixed media as well as installation style art. My senior show "Segmented Zen"